Daniel completed his bachelor’s degree in community health in May 2010, with concentrations in health planning and administration and health education and promotion. He will enroll in Emory University’s master’s program in global health in the fall. He hopes to work in global public health emergency preparedness and response. In 2008-2009, Daniel studied abroad in Kenya, where he interned with the OGRA Foundation, a community-based youth development organization, and conducted research focusing on HIV/AIDS-affected orphans and vulnerable children at a school feeding center in rural western Kenya. He is currently working with Dr. Stephen Notaro to analyze his data. He is also a member of Dr. Notaro’s Free Clinic Research Team, analyzing data related to the delivery of services by the Champaign County Christian Health Care Center. 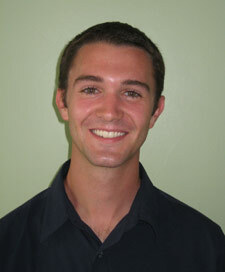 Last summer, Daniel completed an internship in public health emergency response at the Kane County Health Department. He currently volunteers as a basketball and track coach with Champaign-Urbana Special Recreation, and is a peer advisor in the Study Abroad Office. A four-time Dean’s List honoree and previous recipient of the Carol L. Chittenden Scholarship, Daniel is a member of the Illinois Public Health Association.